How many episodes of Perception have you seen? I really like this show. The way things are perceived by Daniel and the things that I am learning from the neuroscience point of view are intriguing. I can't wait for a new episode to learn more! The one character/actor I am not particularly fond of is Scott Wolf. I am not sure if it is an useless character or I just don't like the actor. A combination of both perhaps. The other character which is needed but could be written differently is the FBI agent. As well, I find Rachel Leigh Cook's acting quite dull. I am just not drawn in by her at all; whereas, Kelly Rowan is fabulous in her role. 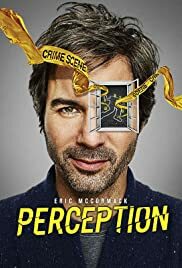 A good part this show is fascinating and Eric McCormack is extremely convincing. He plays it beautifully! A little tweaking on Agent Moretti and Donnie Ryan and some better writing and we'll have a real winner!!! !